I have always said that I have never yet heard an atheist’s argument against the existence of God that was convincing, and even though much work went into this article (Christianity’s Nightmare Question), my statement remains true. These thoughts are not even a little worrisome for Christians, Sunday School teachers, or any genuine Christian. Why? Because the entire article is postulated from the standpoint of humanism: the “Me! Me!! Me!! !” infant cry of humanity as it focuses only on its self and what it deems worthy of God-speak! This article has all of the typical “Jesus was nothing new” rantings of someone who hates any idea of God. But once again, as sites like this always prove, atheists can’t seem to stop talking about God. Please don’t say it’s because you are trying to free people from some imagined spiritual tyranny, blah blah blah, because what you model as an alternative is nothing but the negative despair of people who have no hope, and no purpose greater than yourself or some imagined higher view of human existence. But I do thank you for the article. Reading about atheism and listening to the rants of atheists always, I mean ALWAYS, builds my faith and reminds me of how fortunate I am that God does indeed exist! So, my Christian friends: click on the link below, read the article, and be encouraged in your faith! Thanks for the comment, and re-post. So, let me get this straight: you don’t find it at all troubling that the very best a man who claimed to be the Creator of the Universe could do was plagiarise sentiments first articulated long, long before him, and often said much, much better? Do you not think letting people know that it was epilepsy, and not demons, for example, that was causing some very sick people to act like they were possessed… People who were often murdered (stoned to death) because their neighbours were frightened and believed they were, in fact, possessed by demons? Wouldn’t Jesus be, at the very least, morally obliged to relieve such unnecessary suffering? If he could, then wouldn’t you consider it a moral crime that he didn’t? What about Jesus not clearing up the ludicrous creation myth believed by people in 1st century Palestine (and many Americans still to this day), or the going belief that the earth was flat? Or how about Jesus not knowing Moses, for example wasn’t a real historical character? Don’t you think a god should have known basic regional history? You see, what we have here is a character who claimed to be the Creator of the Universe, yet was not only ignorant of absolutely everything, but also a plagiariser… a man incapable of delivering a single original line or thought. Naturally, one would expect a god to say at least one new thing, or clear up at least one past blunder, wouldn’t you say? Perhaps you missed it in your hurry to defend your particular Middle Eastern god, but I didn’t criticise any of the messages Jesus plagiarised. Some, like the Golden Rule, are priceless. I merely think it important for Christians to understand that Jesus wasn’t the author of that particular thought, or, in fact, the author of any new or original thoughts. Everything, absolutely everything he said had been said before, which is an astonishing admission considering the claim the rabbi made, wouldn‘t you say? Jesus not knowing this fact is a tremendous blight on his credibility… Moreso, I’d say, than not saying anything new, or producing the first world map, for example. So again, what we have is a character that said nothing new, offered no new information, didn’t right prevailing errors (like the earth being flat), and was patently ignorant of basic history. Not exactly the stuff of a god, you’d have to agree. By the way, John, your arguments could never be used as “proof” that there is no God, just that in your opinion He is a bad one in your assessment. Rather than attack the chronicler of awkward facts, me, how about you be proactive and actually present your reasons for why Jesus didn’t say anything new or marginally useful? You know John, you have to learn how to have a discussion (whether or not I provide replies you think are adequate) without resorting to “attack” language and accusations. I think if you read through my replies you will see they are free of personal attacks. I might mention your disbelief or criticize what you believe (or not in this case) but I never attack you personally. Your idea that Moses did not exist is silly and only supported by silly people, your demand that Jesus supply the first world map is like expecting a fireman to help you fix your carburetor while your house is burning, and what do you care about Jewish Rabbis and scholars except when you can use something they might think in order to blast someone else? Your claim that nothing Jesus said was unique is popular with your kind but not supported by facts but even it were, did anyone hear those words when they came from others (if any of them did)? Would it count for nothing if the God of the Universe spoke them? John, you simply do not want there to be a God because you would have to yield your own plans and thoughts to his. Again, your criticism of God makes no ground in proving His non-existence, only your disapproval of His performance. His agenda is different than yours. Your idea that Moses did not exist is silly and only supported by silly people. “Currently there is broad agreement among archaeologists and Bible scholars that there is no historical basis for the narratives of the Patriarchs, the Exodus from Egypt, and the conquest of Canaan, nor any archaeological evidence to make them think otherwise. Now, when I say the “majority of Jewish rabbis openly concede these facts,” I mean the majority. Last year I spent a number of months interviewing over 60 of some of the most prominent rabbis in the world, from every Jewish Movement (Orthodox, Reform, Conservative, Reconstructionist, Jewish Science, Renewal and Humanistic movements), as well as some of the world’s leading biblical archaeologists based at both The Hebrew University in Jerusalem, and Tel Aviv University. In fact, I’m still in regular contact with the brilliant young archeologist, Dr. Erez Ben-Yosef, who’s paper “A New Chronological Framework for Iron Age Copper Production at Timna (Israel)” was named the most influential paper published in BASOR (Bulletin of the American Schools of Oriental Research). Ben-Yosef also co-authored a startling paper last year, titled, “The Introduction of Domestic Camels to the Southern Levant: Evidence from the Aravah Valley,” which further dismisses the Pentateuch as a “historical” document. And for your information, Ben-Yosef is a practicing Jew, a theist, but honest enough in himself, and his work, to admit (like all Jewish biblical archaeologists admit) the Jewish origin narrative is nothing but inventive geopolitical myth… None of it happened. It is a work of fiction penned first in the 6th and 7th Century BCE to satisfy the territorial ambitions of Judah after the sacking of Mamlekhet Yisra’el (Kingdom of Israel) in 722 BCE. The Patriarchs, Egypt, Moses, Exodus, Conquest is all fiction. Abraham and Moses are fictional characters. So, I’m afraid to say, Jesus blundered terribly not knowing basic regional history. Please, by all means, name something new or original or useful Jesus said…. Or alternatively, give the reason you think for why Jesus didn’t say anything new or original…. BTW, I don’t mean that you’re not “up-to-date with biblical archaeology, scholarship, or the beliefs of Jewish rabbis” as a derogatory remark. Far from it. Many, many Christians have no idea of these facts. It’s not their (of your) fault they do not know, as they’ve never actually looked into the matter for themselves. In a lighthearted way, what I want to say is, “News Flash! Archaeologists and atheists all agree that Moses is not real, God doesn’t exist, and we all came from monkeys!” That sound is my tongue in my cheek as I deflate the puffed up discoveries that are made about every five years once again demonstrating why there is no God, that anyone who believes in God is ignorant of something, and that anything any religious leader has spoken has borrowed it from someone. Again I don’t know why you would believe the testimony of those delusional Rabbis who believe in God. How could their testimony be trusted? There will of course be no end to this. But it is always interesting to get wind of up to date ammo from the atheist set! Thanks for the exchange John! Who’s talking about proving or disproving the gods here? We’re talking about a man, Jesus, who thought he was a god, but quite obviously wasn’t… As you’ve more or less just admitted by not being able to name a single new or original thing he said. The god debate is another subject altogether. As per the archaeology, you either believe the world’s leading experts and their vast array of hard evidence, or you have to believe that there’s some kind of grand and dastardly global conspiracy. Up to you which one you choose. Maybe it’s a different subject. But you haven’t really take every word claimed to be spoken by Jesus and shown it to be by someone else, you’ve just made the claim on the backs of others. And of course we know that we can always trust the vast array of hard evidence offered by experts because they have never been proven wrong. One of my favorite “expert” claims is that whales evolved from small jackel/hyena land mammals. With such logic how could anyone ever doubt the experts. You know that I could find other experts that would disagree with your experts. It’s like a chess game which someone will win. You haven’t really proven your claims just proven that people have claimed it. You wouldn’t be able to produce a single tenured professor of biblical archeology, or reputable biblical scholar. Believe me, I know. The best you could do is a few evangelical Christians like Kitchen (who’s an Egyptologist, not even an archaeologist), Bryant G Wood, a young earth creationist from the inerrantist Associates for Biblical Research, and Hoffmeier, from Trinity bible school. These aren’t real archaeologists. Scott, just so you know, the only area where there is still a live debate regarding biblical archaeology is whether or not Judah had an urban society in the 9th Century BCE, which relates to the narrative concerning the United Kingdom. That’s it. That’s all there is. The Patriarchs, Egypt, Moses, Exodus and Conquest are dead subjects in the field of serious archaeology. They were dismissed as myth over two generations ago, and nothing has changed in that time to alter this consensus. If you like, I can go through all the evidences. There’s an awful lot, it’s rather impressive, and, as I pointed out, it’s so overwhelming that pretty much all but Orthodox Jewish rabbis concede the facts…. But even Orthodox rabbis are now starting to admit it. Again, you must appreciate that rabbis have more invested in their origin narrative being true than you could ever hope to have in a thousand lifetimes. These people (incredibly well-educated men and women) wouldn’t dismiss their narrative if it weren’t for overwhelming evidence. You must appreciate this fact. If you’re interested, the product of my months-long research project was summarised in the article: Of Course What You Say is True, But We Shouldn’t Talk About it Publically. If you’re interested, it’ll give give a good overview of where Rabbinic/archaeological thought is, and why. Now there’s a response that anyone can use to dispute any notion they don’t like. Could the same not be said about your “silly” notion about an invisible man in the sky that led his chosen people believe the earth was the center of the universe? And again an answer so vague and unsubstantiated that it too can also be turned against you and your “silly” choice to believe in an invisible man in the sky. This is why only children and fools buy into ancient religious views so easily because they have no critical thinking skills. And when they develop some many have been so intimidated by the thought of an eternal damnation should they question church dogma that they allow themselves to be lulled along with oral arguments that pontificate much but prove as little as was first introduced to them as fools and children. It’s ironic that you brites are the only sane, intellectual people in the world and the rest are all idiots because they are religious. Fortunately, you are in such a great minority (contrary to what you think about yourselves) that, for the most part, the only people you are hurting are yourselves. So, I leave you to your miserable existence in which the universe just randomly flew together with no cause, there is no purpose in life (except the pursuit of yourselves), people are just higher order animals, and a life in which YOU REALLY DO BELIEVE that everyone around you is an imbecile. HOWEVER, one day you will die. And your current set of “beliefs” leaves you prepared for nothing. I meant exactly what I said, and have utmost confidence in the accuracy of the statement. To demonstrate, I’ll simply challenge you to produce a single tenured archaeologist (who has led digs in Israel or the Sinai and has peer-reviewed published papers on those digs), reputable bible scholar, or non-Orthodox Jewish rabbi who will state, in writing: “Moses was a real historical character, the Hebrews were enslaved in Egypt, there was an exodus of some 2 million people, followed by a triumphant conquest of Canaan”. And concerning your other point: please, by all means, name a single genuinely new or uniquely useful thing Jesus said of did. It seems you really don’t know much about the Jewish faith. That’s OK. Non-Orthodox may mean a rabbi from the Reform, Conservative, Reconstructionist, Jewish Science, Renewal and/or Humanistic movements. Apart from the Humanists, all are, I guarantee you, god-believing theists. But, to be honest, in talking to a number of Orthodox rabbis none fully committed to the existence of Moses or the Exodus. As I pointed out to you earlier, in 2012 Orthodox Rabbi Norman Solomon published his book, Torah from Heaven: The Reconstruction of Faith, in which he declares the concept of Torah Mi Sinai (the claim that the Five Books of Moses were dictated by the god Yahweh to Moses on Sinai) was not rooted in reality but was rather a “foundation myth;” an origin dream, not a descriptive historical fact. Have you never heard of Conservative rabbi, David Wolpe? He was voted America’s most influential rabbi. He was one of the first to come out and publicly announce there was no Exodus. He’s written, and spoken, quite extensively on the matter, yet he still strongly believes in the same god you believe in. I’ve spoken to him at some length about this, and it’s interesting to hear his rationalisation. By “reputable” I simply mean, Reputable; meaning an actual bible scholar and/or achaeologist working at a real university, not an apologist who got a piece of paper from an evangelical Christian bible school, and now teaches at an evangelical Christian bible school because they’re not qualified to actually enter “real” academia. Heads of departments, professors, and if you can have them either Tel Aviv University, or The Hebrew University in Jerusalem would be a bonus. Out of interest, are you going to name something genuinely new or uniquely useful Jesus said of did? I’d be tremendously interested to hear what you might come up with. My point in characterizing your “non-orthodox” category as being non-believers in God was to say you would never except any reputable scholar who professed scholarly conviction in Moses’ existence because anyone who did so woud be immediately dismissed. So, I will suggest a passage to you but first I will predict what your response will be (in part). You will say, along with the Jesus Seminar that Jesus didn’t really say it, or something like that. So with that, let me humor you with Matthew 24. And dont hide behind the idea that apocolyptic was not new because no one claims that Jesus was the first to talk about things in eschatological terms. So, tell me about the Greek philosopher, or some obscure spiritist wo warned people about the Great Tribulation. And dont say Daniel, because Jesus’ words instructed in a new and more specific way. Who did Jesus steal His prophecies concerning the Jewish Temple being destroyed? And in John 7 when Jesus called those who were thirsty to come and if they believe living water would flow in their innermost being, who did he plagiarize? Of course Jesus must have plagiarized all of His deas when He instructed the disciples that He and the Father were one and that when they had seen Him they had seen the Father. Of course all that He said concerning the Comforter, and blasphemy against the Holy Spirit were knock offs as well. I write his knowing you will have ananswer that you think is convincing to any true thinkers and thats what makes this interesting. Regarding Moses, I’ll be happy to read any serious work done by anyone who can actually present evidences. The key word here is “evidences;” hard facts which stand peer-review. Again, you must appreciate the reality that Jewish rabbis simply wouldn’t dismiss their origin narrative if it weren’t for overwhelming evidence. The vast majority of Israeli archaeologists would LOVE the stories to be true… and it’s not just the case that they can’t find any evidence which supports those stories, rather the case that they have been confronted with a veritable wall of contradictory evidences. Now, thanks for trying to answer my other question. I respect that. First up, Matt 24 is a failed prophecy. Jesus says “Truly I tell you, this generation will certainly not pass away until all these things have happened.” That generation passed away and there was no second coming. But prophecy is prophecy. Sages have been issuing vague future warnings since time immemorial. I can make a prophecy right now: Economies with rise and fall, war will be waged. Pretty easy stuff, and not at all useful, or new. What does “living water” even mean? This is simple poetry; a spiritualists pleasant words. The Tao literally means, “The Way,” and Laozi, Rishabha and Mahavira (Jainism), and Siddhartha Gautama all taught variations of this living energy to be channeled through The way. It’s not a new concept, and simply saying “living water” is about as vague as vague can be. These other thinkers at least put meat to their words, describing how the energy works, giving practical examples, and whatnot. “God and the Father” is far, far, far from a new concept. Pantheons had been telling and retelling that same narrative for thousands of years before Jesus. Your own god, Yhwh, was one of the 70 children of El, born first in the Ugarit pantheon. You are aware, aren’t you, that Israel is correctly named Mamlekhet Yisra’el… Yisra’el. El, the Ugarit god, not Kingdom of Yhwh. You can go back much further to Sumer and the first pantheon. The first Sumerian Gods who brought order from chaos, An and Ki, gave birth to Enlil who would dominate (until his own expulsion) the veritable smorgasbord of Gods who’d come to inhabit the Pantheon; their lives unfolding like an ever-expanding family drama complete with labour strikes as experienced when the 6th generation of Gods literally refused to work threatening the on-going process of creation. This family deck was forever being reshuffled, and when the Babylonians came along they wrote the Enuma Elish which catapulted their capital cities patron God, Marduk, way up the order in the existing creation story. Without care or concern for script continuity they made him a son of the Sumerian Lord Enki who, the new version of events reads, ceded power leaving the one-time fairly lowly Babylonian God to rule all of mankind. In the new edition it is Marduk who slaughters the pre-time chaos embodied in the demon Tiâmat and splits the giant’s body to create heaven and earth. The Judeans (from Judah) did exactly the same thing with Yhwh around 800BCE, and Jesus was simply playing along those same story lines: a cosmic family. The Father and son in a cosmic seat of power narrative is as old as religion itself. You’re not suggesting chastising blasphemy was new to Jesus, are you? Again, thanks for at least trying, but nothing you have said here comes anywhere even close to being genuinely new, or uniquely useful. That’s not to say there aren’t some good nuggets in the things Jesus said. The Golden Rule can be re-told a thousand times and it’ll always be a useful guide… But it’s not a new concept. The Golden Rule is ancient, probably dating back to the moment the human brain first projected thoughts out into the near future and spent a moment then considering the consequences of a said action. We know it was first written down during the Egyptian Middle Kingdom, 2,000 years before Jesus, and was so common it was in pop culture 600 years before Jesus (see Homer’s Odyssey: “I will be as careful for you as I will be for myself in the same need”). Actually, your refutation of my examples is what is lacking. Case in point, Jesus’ reference to “living water” is not vague at all for those that read and understand what He is referring to. He is speaking of the baptism in the Holy Spirit which had not happened yet. I understand this. The issue is that you can’t recognize the originality in Jesus because you do not understand what He is talking about. You make the mistake of putting Him in the category of a thinker who was trying to carve out His philosophical niche. This was not His point.You do not understand biblical prophecy, nor Jesus’ words in Matthew 24 because you mistakenly are looking for His words to be fulfilled in Peter’s time. Your quip that you can make a prophecy is foolish for one reason: you are not a prophet nor can you make any prophecy. Concerning Jesus’ words about the Father and His being one with Him is Trinitarian and not anything like the Ugarit, blah blah blah, Babylonian examples that are, respectfully, done to death with no impact. John, you can’t see any of this because you do not believe. That seems lame to you and your followers, some of which are interested in defending you which is admirable I suppose, but it is a fact. The guy who needs a revelation is the one who does not know he needs a revelation. So, let me ask you: what have you done to really, genuinely give the God of the Bible a chance? It is funny how scientists and so-called scientific thinkers have decided that the only things that are real are those things that they themselves can touch and prove. Of course, you surely know that I do not engage in these conversations thinking I will ever be able to convince you or any hard-core atheist of my convictions. But if this is the best you can do, it is not enough. There is a Presence of God and a peace of God and the born-again experience, and the baptism in the Holy Spirit, and the anointing, and changed lives, and many other evidences, none of which you respect but only mock (although you have mocked less than your followers). But you must admit, that when you die it is going to be very important that you are right in your assessments! For me, if I am wrong (which I am not), I lose nothing but gain a life of joy, peace, and purpose lived on the earth. Are you serious? Baptism isn’t new to Jesus. Have you never heard of John the Baptist? And again, prophecy is prophecy. Nothing new there. Nothing original. Sages have been laying out warning of the future since time immemorial. It’s somewhat a standard feature of religions. Look at Zoroastrianism, they had the very first prophecy of the End Times (plagiarised by Christianity) with a Saoshyant; the saviour figure who was referred to as the World Renovator and Victorious Benefactor who will defeat “the evil of the progeny of the biped” and establish the Kingdom of Good Thought (righteousness). So, you still haven’t identified a single genuinely new or uniquely useful thing Jesus said or did. Oh my gosh, John! You don’t even know the difference between water baptism and the baptism in the Holy Spirit? Really? If you don’t know even that. . . It appears you are doing the classic Theological Two step and not answering directly a single question John Zande has posed to you. Neither have you been prepared to honestly deal with his challenge. Why is that? Maybe his excellent erudite prose has left you a little bemused, or tongue-tied? You and I agree with Wolpe on this matter, it is time for people to know about it, but for Scott this is an entirely new universe, and probably a little scary. You “brites” are really killing me! Scott, there’s no need to fall back on derogatory name-calling. I’ve said nothing derogatory. Certainly nothing as condescending as talking about on my own blog to your partner Arkenaten discussing how little I know! Give me a break! Or maybe I have a life. Or maybe I recognize that John and you will only respect those that agree with them. It is VERY easy to play the “my experts against your experts” game. It produces nothing. How will I know until you name them? I’ll respect anyone who’s earned respect through their work. What baffles me and rather lowers Christian credibility to the point of flushing it down the toilet, is that people like you, Scott, accept consensus where it relates to the historicity of the character, Jesus of Nazareth, (and often expect the non believer to accept this as evidence), but (many) reject out of hand the scholarly and, more importantly, scientific consensus that the character, Moses is pure myth. The irony and hypocrisy is self-evident. Arkenaten, you know absolutely nothing of how I have arrived at my faith, what questions I have wrestled with. Further, it is disingenuous for you to pretend that ANYTHING could ever make Christianity credible to you. That’s hypocrisy! How you arrived at your faith is immaterial to the discussion at hand – though I would hazard a guess it was either through childhood indoctrination or via some sort of emotional issue, which led to a ”revelation”. Irrespective, that you purposely ignore questions and skirt issues that are not only central but crucial to your belief that the biblical character, Jesus of Nazareth is the god you genuflect to is most telling. 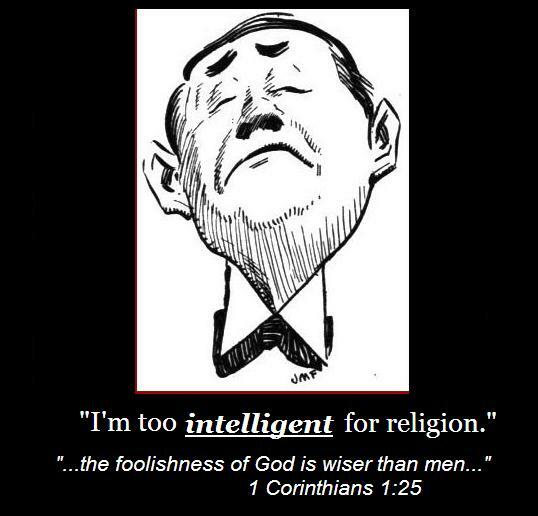 You are either genuinely ignorant of the current state of biblical exegesis or willfully ignorant. Either or, there really is no excuse, especially considering that you hold a doctorate. That means something or it isn’t worth the paper it is written on. You tell me? Science has clearly demonstrated the fallacious nature of the Pentateuch; it is simply a made up piece of fiction, and the genuine relevant scholars ( and many theologians) have been forced to acknowledge the truth of this, if somewhat grudgingly in some cases. How the likes of you and many other religious people deal with these issues will be a true measure of hypocrisy. You see, it’s no longer about whether this em>is truth; that has already been established by myriad of highly qualified individuals, many of whom have a lot more at stake than you, but rather how you proceed now that the truth has been laid before you? The bottom line for our discussion (somehow I inherited you from John, whoever you are) is that there is simply nothing I could ever say in defense of my beliefs, my knowledge, any evidences that I think are contrary to what you are claiming, any counterpoints that you would accept, respect, or consider because to do so would have you entertaining the notion of God, more particularly the Christian God. If you were to admit that, I could respect you to some degree. You think every Christian has become so only because they were born into it or because they were under duress. Again, you assume too much by thinking we are all idiots. But then everyone who isn’t intellectual enough to become an atheist is, well, inferior anyway, right? I’ve got to move on now but thank s for your time.